One of the greatest accessories in menswear today is the scarf! Yes, mens scarfs have a utilitarian purpose. But they can also add a level of sophistication and swagger — just like a pocket square does. A mens fashion expert helps you choose the best mens scarf for your wardrobe. Whether you have a fuller face and a round head or a thinner face and a narrow head MATTERS when choosing mens hats. I’ll show you how to choose the best mens hat styles based on your face shape. Are you prepared for the blistering cold and winter winds when you’re outside this fall and winter? 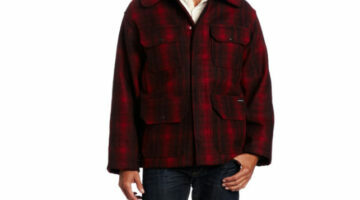 If not, may I suggest the Woolrich Tailgating Jacket. See why I love this jacket.